Gala Casino is celebrating the launch of its latest game, Monopoly: Big Event slot, with a Pass Go, Collect Up To £200 promotion. To claim the bonus all members have to do is deposit £10 or more to their accounts, choose to opt into the offer with at least £10 in the pop-up and then they will receive a 100% bonus automatically added to their account. 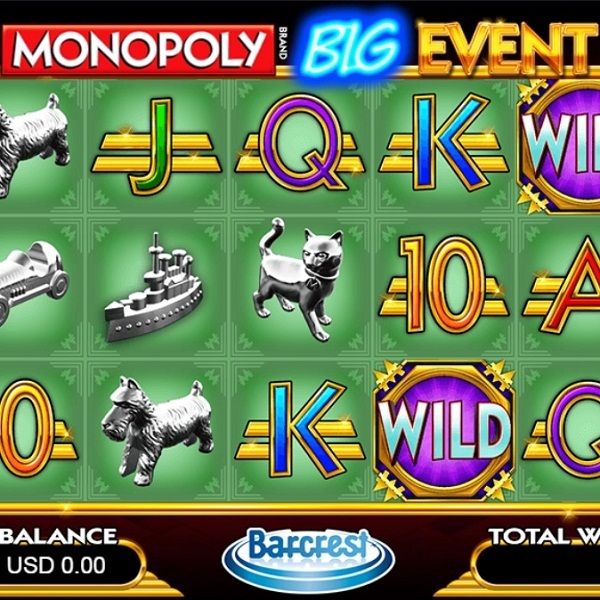 Monopoly Big Event is a 5 reel, 20 payline slot that is built upon the classic board game. The slot features three different bonus games as well as a Big Bet game and a Big Event Bonus. It incorporates all aspects of the game, such as community chest cards which can award free spins and chance cards which can award other bonuses. Be sure not to miss out on this great bonus, visit Gala Casino today and check out this fantastic new game.